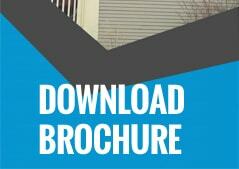 Paying for heating and cooling in Willowbrook IL can add up to a lot. The summers are hot, and the winters are cold. The end result for many homeowners is record high prices. This doesn’t have to be the case. Instead of wasting so much heat, replace your old windows! What many homeowners don’t realize is that their old windows are costing them dearly. This is because old windows are exceptionally good at leaking hot and cool air outside. What if I told you that installing new windows could cut your current bill up to in half? What if I also told you that you can get a free quote? Lets take a look at the services Best Windows, Inc. can provide for you. What many people do not realize is that a great deal of heat and cooling loss in the home occurs through older windows. From terrible sliders to windows that do nothing to stop heat loss, some homeowners are venting their cash right out the window. The solution then is to replace these windows with new ones that will save you a great deal of money in the long term. 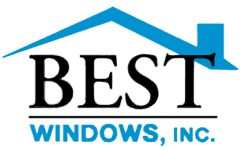 All of these starts with a free quote from Best Windows Inc.
Best Windows, Inc. belongs to the Better Business Bureau and has a solid reputation when it comes to construction industry and contracting. We will not try to pressure you into using our services after the free quote, and will instead focus on providing for you a realistic picture regarding what your window replacement needs are. While our ultimate goal, with your permission, is to replace your old, energy-wasting and hard to clean windows with new models that will save you time and money, we are more then happy in the short-term to provide you with our years of expertise in identifying potential problems with your current windows. We can provide windows that are low E coated glass filled with argon gas, triple weather stripping in sashes for less air filtration, tilt-in feature for easy cleaning, and NFRC U-rated .27 or below rating. If you are interested in getting a free quote, then please do not hesitate to contact us. We would love to hear from you and provide whatever assistance you may require. Contact us today for a free, no-nonsense quote at (708) 204-2446 or click on our contact form for a super fast response!. You can also visit our website Bestwindows.net to know more about free window replacement quote Willowbrook IL.